I have yet to read a Suzanne Woods Fisher novel that I didn’t like. They arrive in the mail and I open the box telling myself that I haven’t got time to start reading yet. I mentally list all my chores but can’t resist opening the front cover and taking a peek. The next thing I know, Charley is home wondering why I am sitting in a pile of unfolded laundry and he doesn’t smell dinner cooking. The Keeper was no exception. The blurb on the back of this book does not do the story justice. Julia has a lot more to worry about than whether or not Paul is ready to marry. Her father is dying. There is a procedure that can save his life, but is it of God? And even if it is, can the family afford to pay for it? 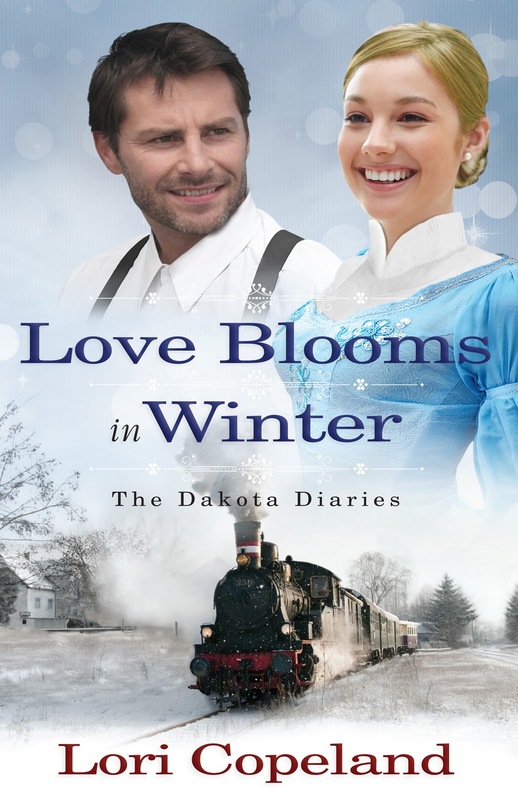 Don’t let the fact that this book is labeled “Amish” fiction lead you to believe you’re about to enjoy a fluffy, light romance. Suzanne’s characters are real people with real world-problems. In her stories the Amish interact with their neighbors and one another in realistic scenarios and there are no clear cultural lines drawn to distinguish the Amish as all-good and the Englischers as all-bad. Reading a Suzanne Woods Fisher novel will give you reason to think and reason to rejoice. You’ll get a satisfying romance and a great drama as well. Julia Lapp has planned on marrying Paul Fisher since she was a girl. Now twenty-one, she looks forward to their wedding with giddy anticipation. When Paul tells her he wants to postpone the wedding–again–she knows who is to blame. Perpetual bachelor and spreader of cold feet, Roman Troyer, the Bee Man. Roamin’ Roman travels through the Amish communities of Ohio and Pennsylvania with his hives full of bees, renting them out to farmers in need of pollinators. He relishes his nomadic life, which keeps him from thinking about all he has lost. He especially enjoys bringing his bees to Stoney Ridge each year. But with Julia on a mission to punish him for inspiring Paul’s cold feet, the Lapp farm is looking decidedly less pleasant. Suzanne has a great admiration for the Plain people and believes they provide wonderful examples to the world. 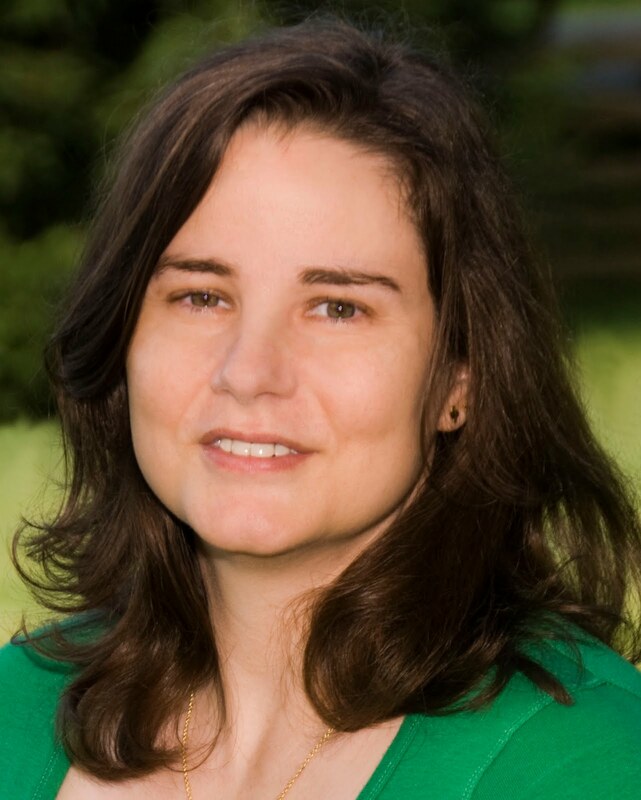 In both her fiction and non-fiction books, she has an underlying theme: You don’t have to “go Amish” to incorporate many of their principles–simplicity, living with less, appreciating nature, forgiving others more readily– into your life. When Suzanne isn’t writing or bragging to her friends about her first new grandbaby (! ), she is raising puppies for Guide Dogs for the Blind. To Suzanne’s way of thinking, you just can’t take life too seriously when a puppy is tearing through your house with someone’s underwear in its mouth. Suzanne can be found on-line at: suzannewoodsfisher.com. It’s a “Honey of a Giveaway” from Suzanne Woods Fisher! Suzanne is hosting a “honey of a giveaway”during the blog tour for The Keeper! During 1/3-1/17 you can enter to win an iPad2 from Suzanne and connect with her on January 17th at The Keeper Facebook Party! But wait there’s more! Just click one of the icons below to enter, then on 1/17 join Suzanne for The Keeper Facebook Party! During the party Suzanne will announce the winner of the “Honey” of an iPad Giveaway and host a fun book chat and give away some fun “honey” inspired prizes – It’ll be ‘sweet”! Don’t miss a moment of the fun. RSVP today and tell your friends via FACEBOOK or TWITTER and increase your chances of winning. Hope to see you on the 17th! They sat down to a lovely roast pork dinner She had cooked. Attention all aspiring authors. I loved this book! I used the advice in the pages of The Story Template, by Amy Deardon to create a detailed and expanded outline for what I think is my best plot ever. I have drama, I have tension, and I have a usable structure to pin it all on so I can concentrate on weaving words into story. 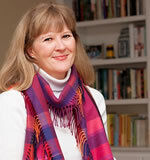 If you want to read a couple of excerpts of the story I created using The Story Template, visit charlene-amsden.com. Amy has written one novel, A LEVER LONG ENOUGH, about a small military team that travels back in time to film the theft of Jesus’ body from the tomb. This book won two awards. Writing a novel or screenplay sounds like a great idea until you sit down to start. Where do you start? Many different methods exist to write the story, ranging from extensive preplanning to venturing onto the first page without an idea. This book describes an approach to developing story–laid out as a sequential series of exercises to facilitate implementation–that you can use whether you prefer a structured or loose approach to writing. You can use it at the start to develop an idea fragment, or later to rescue a partial or completed manuscript that doesn’t seem to be working. The method works whether you want to write plot-driven (genre) or character-driven (literary) stories. It enables you to efficiently use your time and creativity by breaking down the process of story building into a logical plan. You will not waste time sitting at your keyboard, wondering what you should write and how you can organize your ideas into a complete manuscript. I chose twenty entertaining, modern novels in different genres, and fifteen more-or-less recent films (and I’ve since confirmed my preliminary observations with tens of more stories). One at a time, I took them apart: I made a list of each scene, then did a word count or timed the scene, calculated percentages and other statistics, and graphed each story onto a five page chart. I studied each story’s progression, then compared the progressions of different stories to determine common pathways. I also read all that I could on constructing stories. The writing how-to literature was heavy on techniques (plotting, point of view, characterization, dialogue)–all of which are important–but there wasn’t much on blending it all together. Screenwriting how-to books were stronger on structure, but still didn’t give me all I needed. In a word, no. I like to call what I found a template since it describes the shape or progression, on a deep level, of virtually all stories. Recognizing this pattern in a story is something I liken to sketching a face. An artist will tell you that a person’s eyes are about halfway down the head, and are separated by another eye width. The bottom of the nose is halfway between the eyes and the chin, the mouth is proportionally between the nose and the chin and extends to imaginary vertical lines drawn below the eyes’ pupils, the tips of the ears hit about eyelid level, earlobe tips at bottom-nose level, and on and on. Faces are infinitely varied, yet if the artist ignores these rough proportions, no matter how carefully sketched the face will always look “wrong.” Similarly, you will use the template to ensure that your story elements are proportionally correct and all present. The template gives you a guide, but never dictates, what you can write. You may want to first read this entire book to get an overview of story before starting with the exercises. Keep in mind that shaping a story is intensive work, and it will take you weeks or even months to get your story organized. This is normal. Don’t get discouraged, and don’t skimp on the exercises. Take your time to thoroughly work through each step. At the end, your story will be much stronger, and the actual writing will go like a dream. I like to use the metaphor of constructing a house to envision building a story. To assemble a house, you move from larger to smaller elements to sequentially put something together. Only after you have worked through many tasks is it finally time to do the fine details of painting the windowsills and installing the wallpaper. Similarly, while you have ideas about character arcs and plot twists, and maybe you’ve even written some scenes, you will be well served to develop a direction before writing through your manuscript. If you write your first draft as the ideas occur to you, then this will comprise your story planning. You’ll find that you probably don’t have enough material to form an entire novel or screenplay, and even if you do it may not hang together. Believe me, this is a laborious and frustrating way to go. 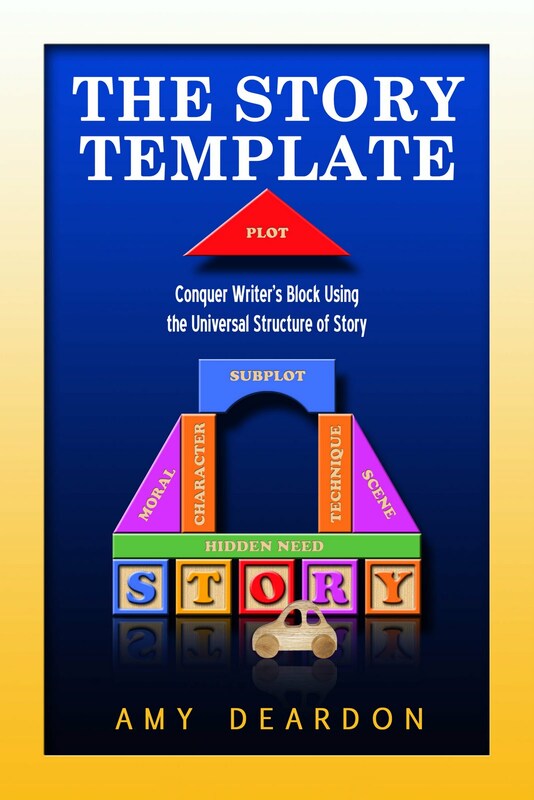 The Story Template gives a series of actions for you to do that will allow you to develop your story ideas with a minimum of angst and wasted energy. Some exercises will be quick, others will require a great deal of thought, and perhaps even a marination of thought, before finishing. Don’t be in a rush–some of your best ideas will come as you play with character or event possibilities. As you continue to develop your story you will probably revisit different components of these exercises, going back and changing previous work, as you move through this programmed story outliner. That’s okay. Just go with the flow, and have fun. When you’ve finished with these exercises, you will be ready to start writing your manuscript, with ease and flow and speed, because you will have already done the hard organizational work. Even if you want to change the story as you’re writing, you’ll be able to do so with an understanding of how to balance the changes. You will have a detailed roadmap that will allow you to bring your vision–your book or screenplay–to completion. 2. A system to organize your template exercises. I prefer hard copy: printing out computer files, or writing on loose leaf paper, then placing the sheets in a three-ringed binder. This notebook may inspire you and give you a sense of accomplishment as you look through to see how much you’ve done. Not as recommended is keeping files only on computer because they’re harder to flip through, mark up, and juxtapose ideas; or a spiral or bound notebook because you can’t replace pages or change their order. But do what works for you. 4. Index cards. Get two packs, and we’ll go over how to use them to story board. Also get a roll of masking tape and a permanent marker (thin tip) for bold marks. Finally, you may want to purchase an index card binder to permanently keep your cards in order. 3. Don’t start your writing session by checking your e-mail or doing anything else except for writing. 4. Turn off anything that might distract you–music, radio, or television. Some people can write through these things, but try without for a few days to see if you do better. Do you recall trying to sleep on Christmas Eve while waiting for Santa to come to town? The anticipation of Saint Nicolas and all his goodies was just too much—who could sleep? The lyrics of Santa Claus is Coming to Town taunted me. “He sees you when you’re sleeping—he knows when you’re awake…” I tossed and turned trying to fall asleep, fearful I’d miss out on Santa’s visit if he caught me awake. I never doubted Santa’s ability to be aware of my wakefulness. Unfortunately, as adults, the issues that keep us awake during the Christmas season are more complicated than those we experienced as kids. Financial burdens, strained relationships, difficult decisions, brooding regrets and fretful thoughts race through our minds and hinder our rest. There is someone who “sees you when you’re sleeping and knows when you’re awake.” It’s not Santa Claus. The Bible reminds us, God’s eyes never close. Perhaps this truth can tuck us in for the night. We erroneously think that as we “turn in” that God somehow “turns off” or moves on to do more important things. But God doesn’t wait for us to wake up before He returns to work. God is just as active during our sleep—or sleeplessness. Believers can rest assured knowing God is awake guarding our lives. What does God do as we slumber? Psalm 127:1-2 reminds us that God gives to those that He loves as they sleep. What does God give? Understanding God’s generous nature, one rendering would be that God gives to the believer whatever is needed at the time. God can give you wisdom and direction with decisions as you “sleep on it” overnight (Psalm 16:7, James 1:5). Maybe there is a financial need. The scriptures are filled with examples of how God provided for the physical needs of those He loved as they rested (I Kings 19:1-8; Exodus 16:1-8). It’s plain to see, God has our back as we sleep. Try this Christmas recipe for rest. Release—control of problems you’re facing and give them over to God. Relate—connect with God through prayer and meditation while in bed. Rest—allow God to do what you cannot do for yourself as you sleep. Receive—God’s unmerited forgiveness, grace and blessings while you sleep. 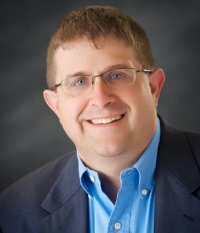 Author Bio: Charles W. Page, M.D. Dr. Charles W. Page is a sleep-deprived surgeon who completed medical school and residency at Baylor College of Medicine in Houston, Texas. Dr. Page is currently a rural surgeon and has taken numerous medical mission trips to South America and the Middle East. He and his wife Joanna live in Texas with their five children. 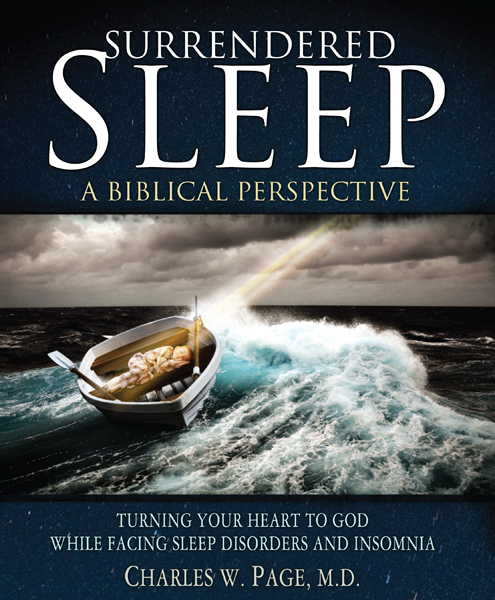 He is the author of Surrendered Sleep: A Biblical Perspective. You can find more information at surrenderedsleep.com.